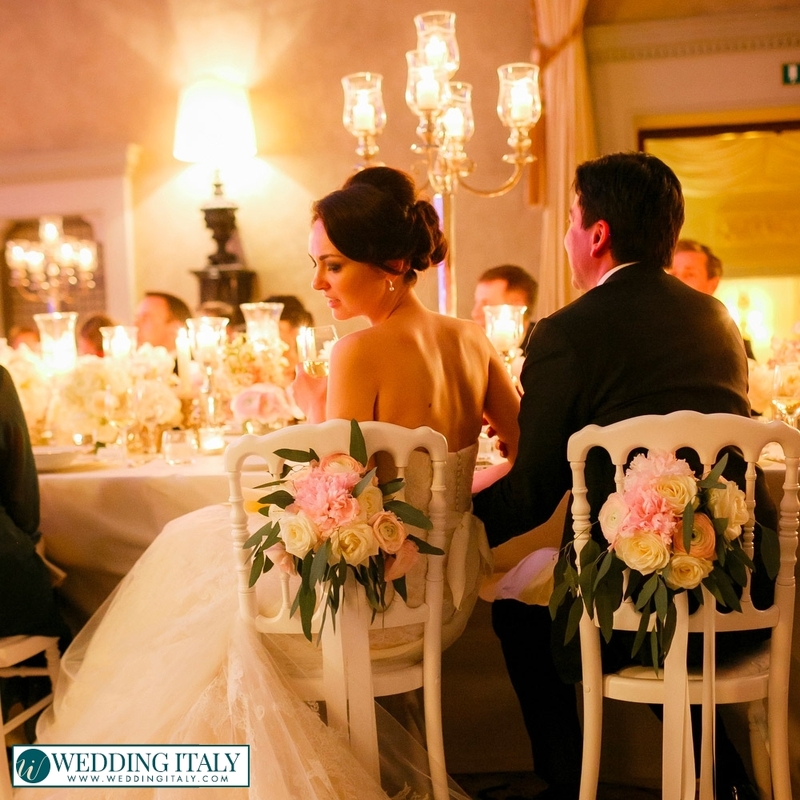 There's something inherently romantic about Italy. 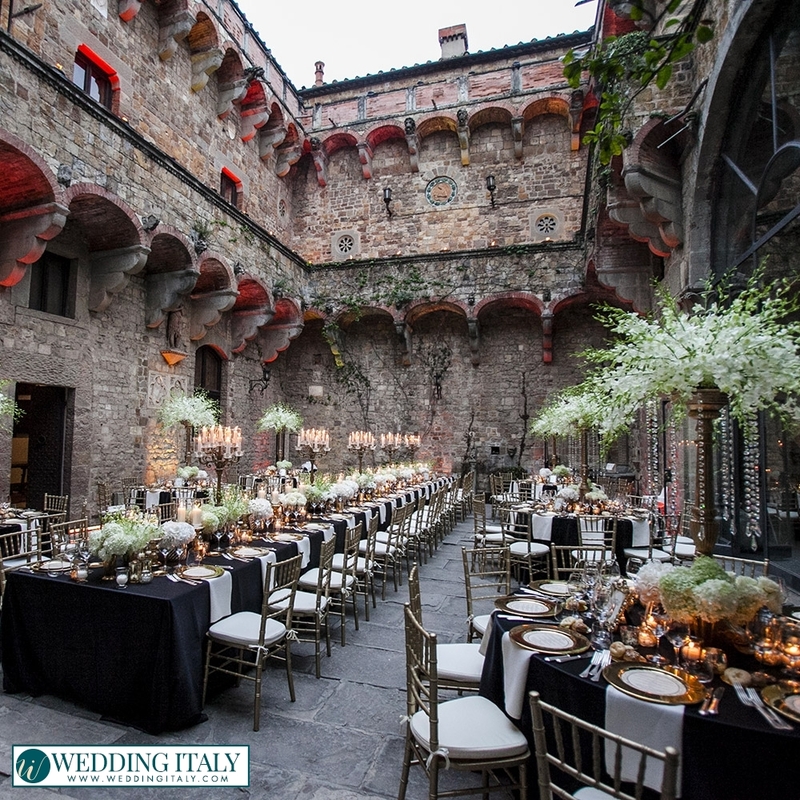 It permeates the air, is present in every beautifully designed structure, and seems native to the Italian soil itself. 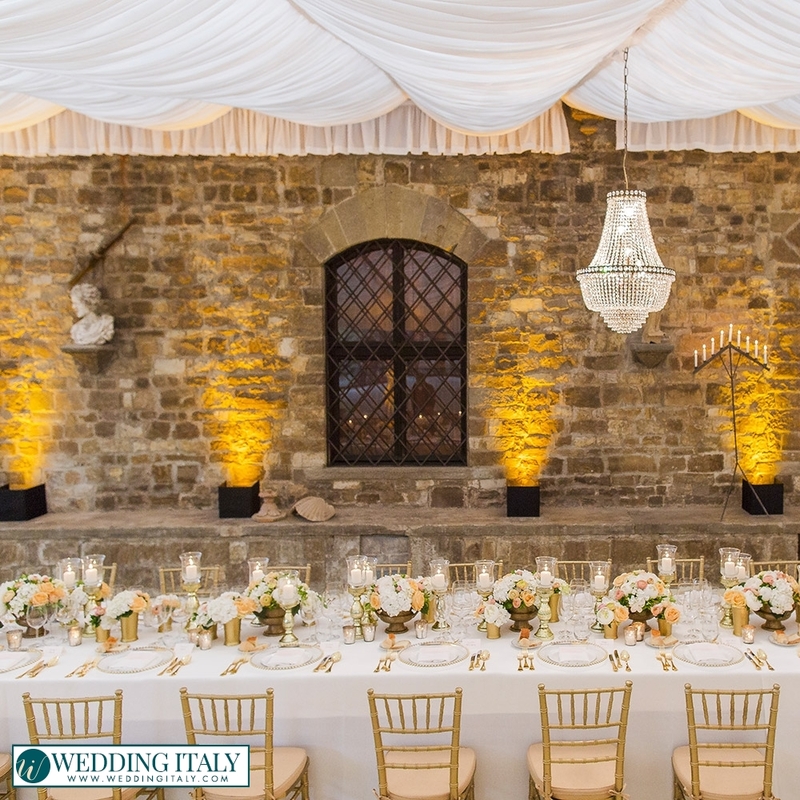 Italy's rippling landscape, liquid-gold sunlight, stunning architecture, and celebrated masterpieces combine to make it an enchanting location for your wedding reception. 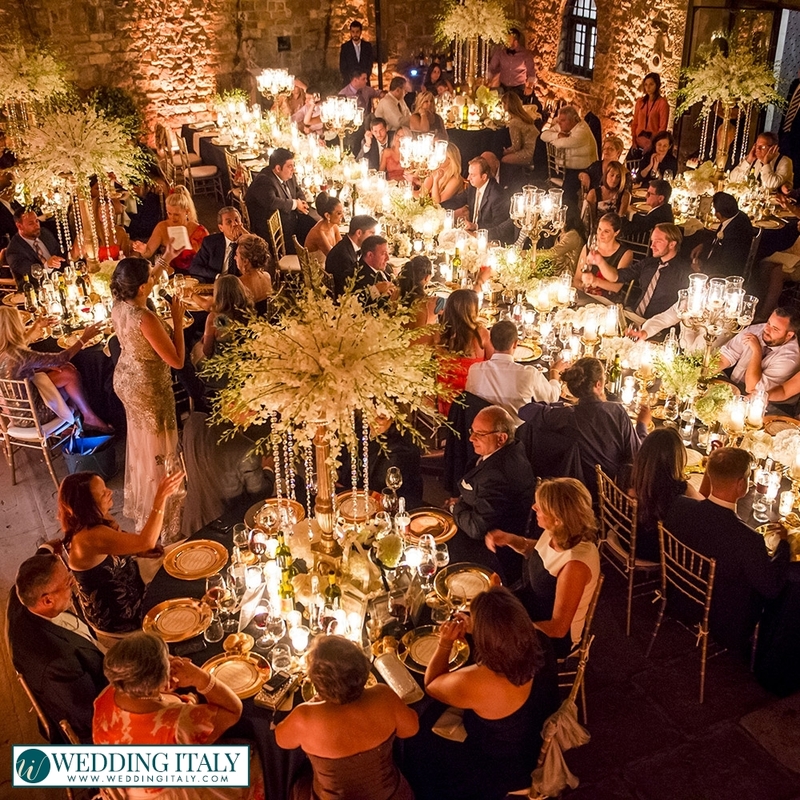 There are many choices for wedding celebrations in Italy. 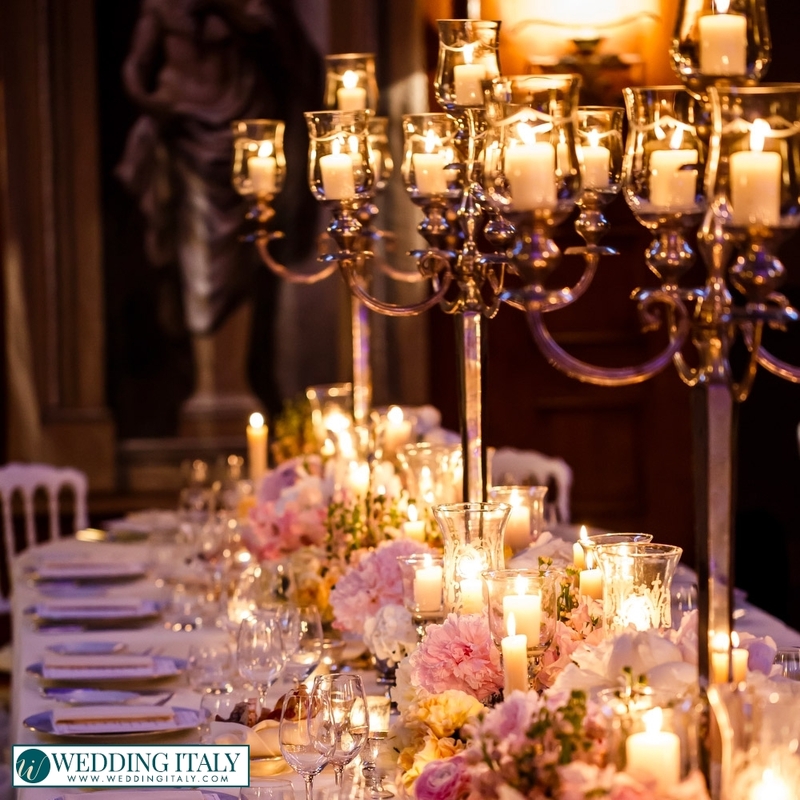 Romantic wedding receptions can include anything from private dinners for two to full-scale parties for hundreds. 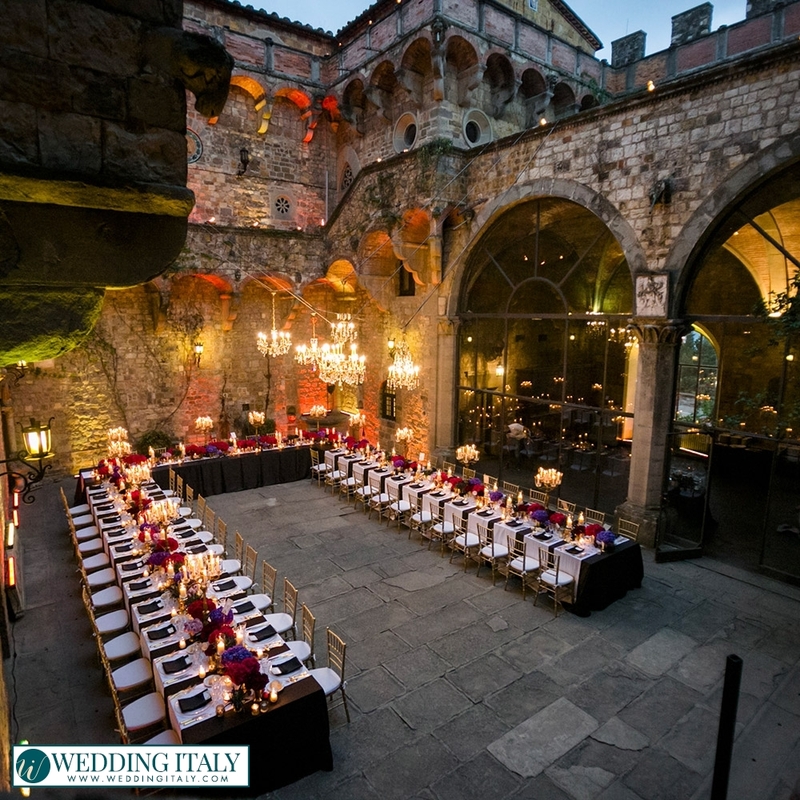 Imagine celebrating your love and commitment in a Medieval castle, taking pictures under artistic masterpieces and enjoying a candlelit dinner in a room fit for a king. 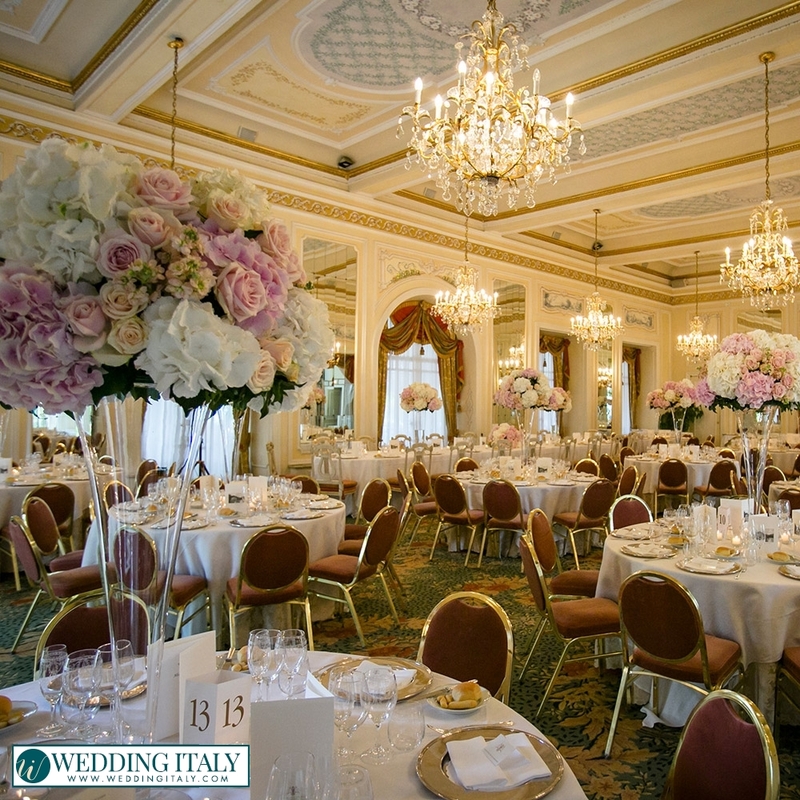 Imagine strolling arm in arm with your beloved through exquisite Italian gardens or dining in a romantic rooftop restaurant. 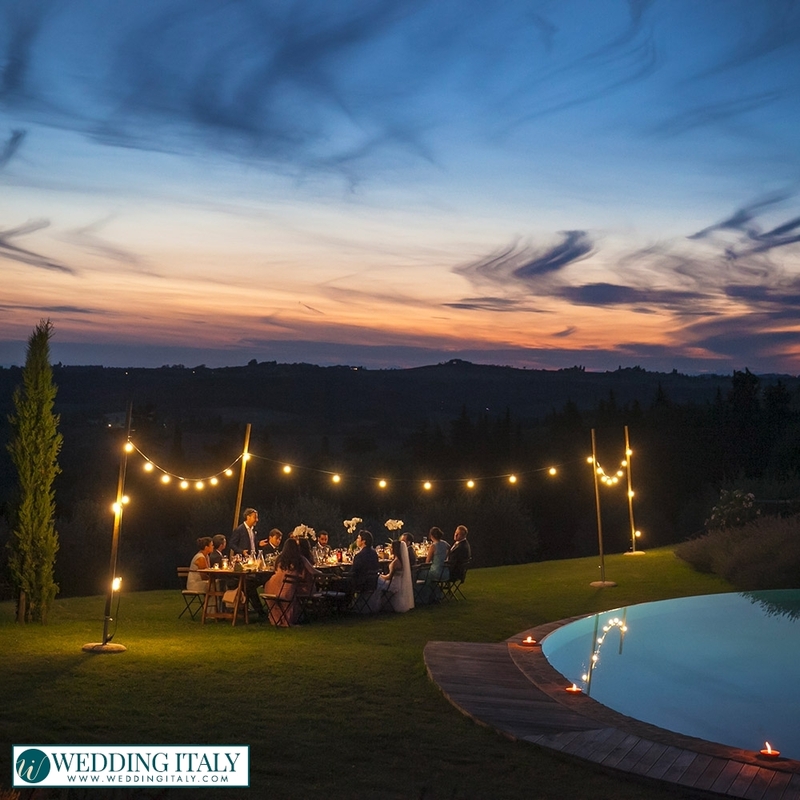 Dance the night away with your guests in a sprawling villa nearly as lovely as the view of the Italian countryside. 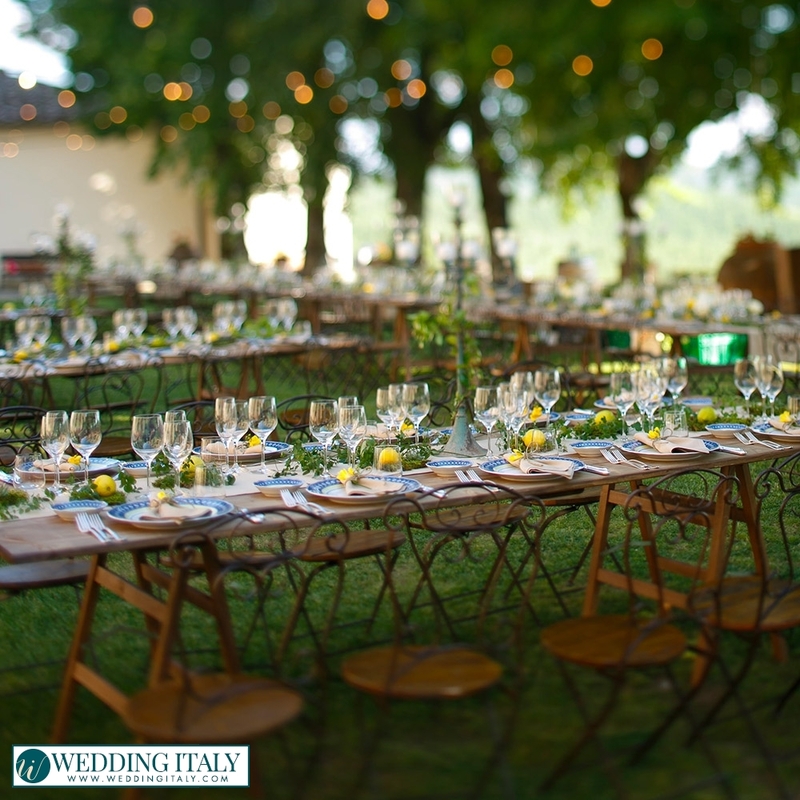 An Italian vineyard is a lovely place for a romantic wedding reception. 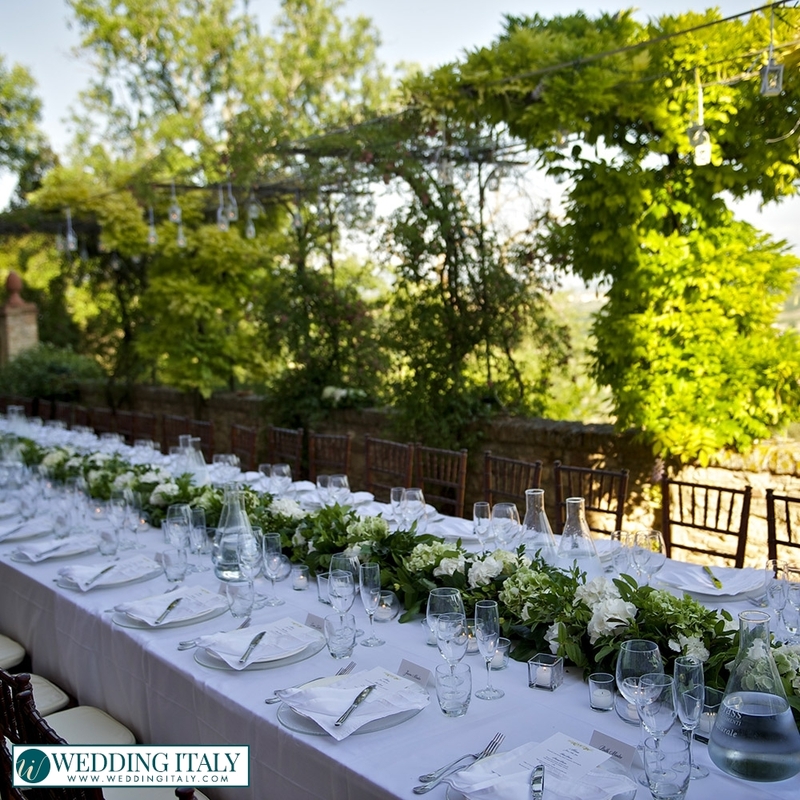 Think about sunny terraces, beautiful gardens, and breathtaking mountains in the background. 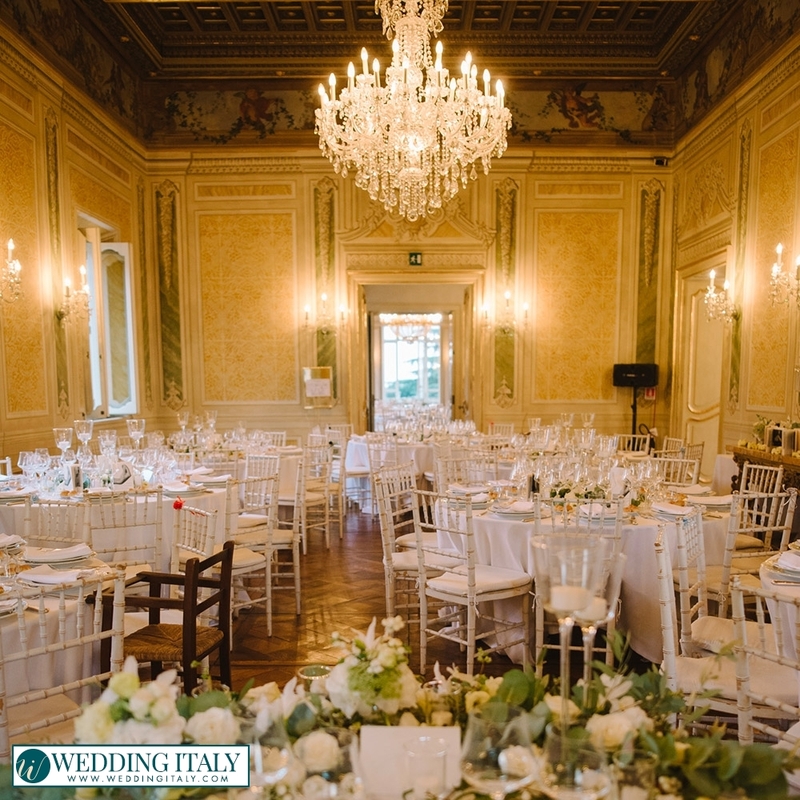 Bask in the elegance of rolling green fields, Italian marble, and buildings which successfully combine rustic beauty with pure elegance. 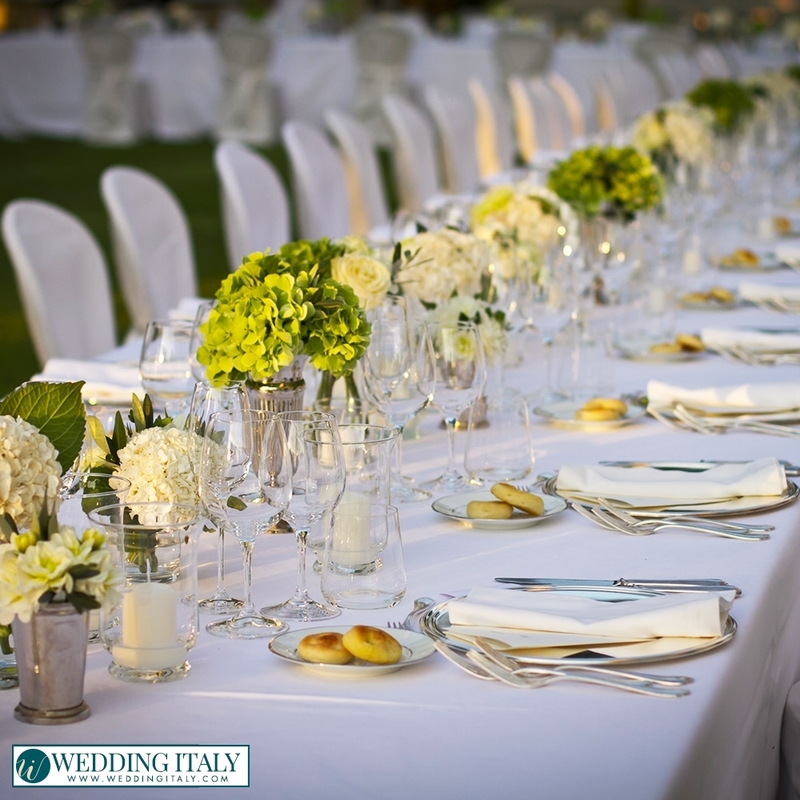 Treat yourself and your guests to heaven for the palate in the form of delicious wines and mouth-watering Italian cuisine. 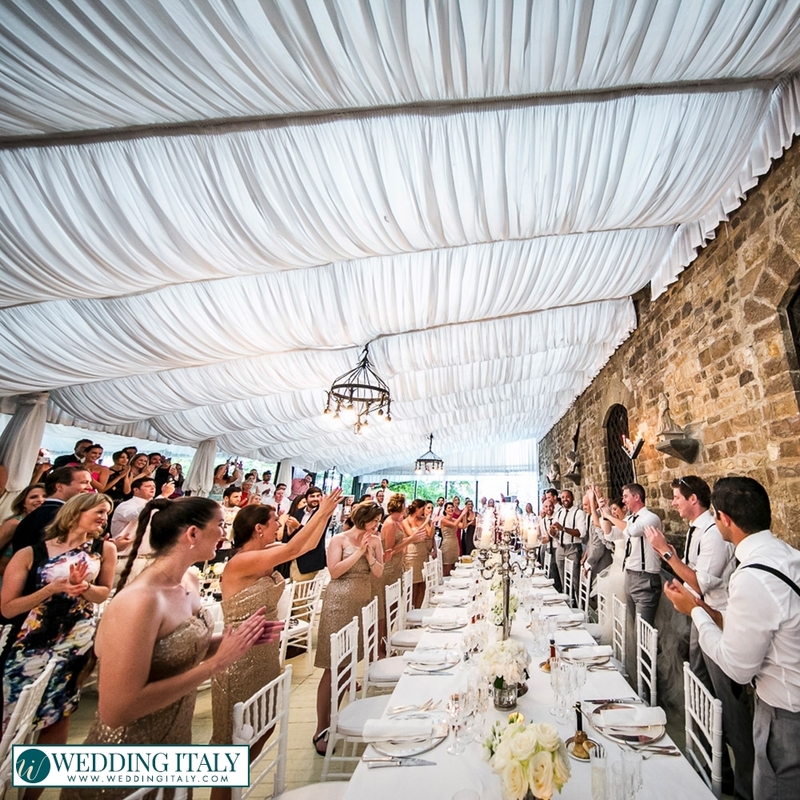 Beauty, friendliness and the authentic Italian style: what more could you ask for a romantic wedding in Italy? 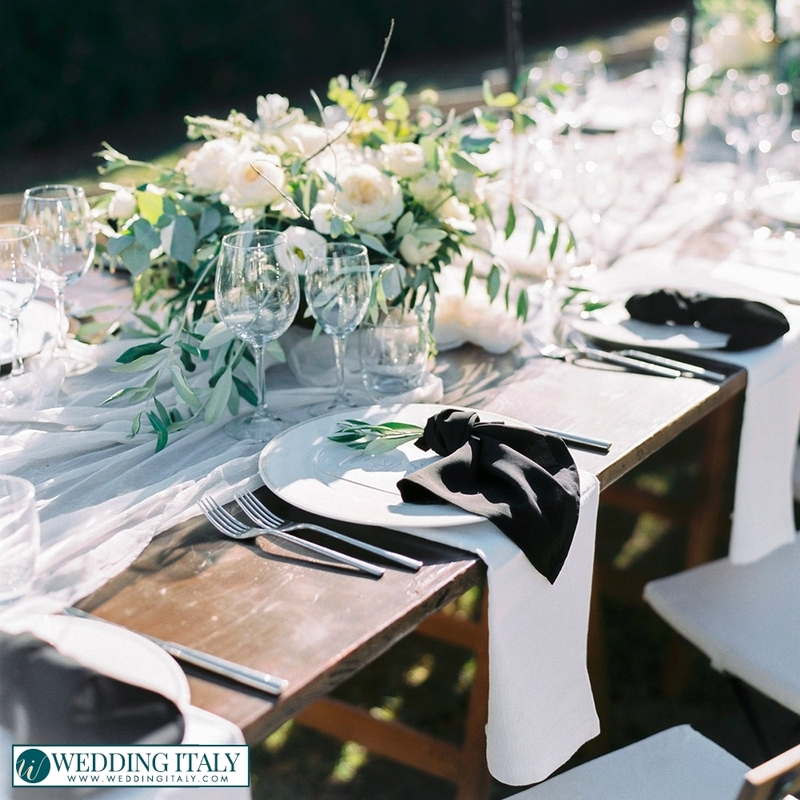 We'll plan the perfect Italian style reception for you whether you have just a few guests or over a hundred. 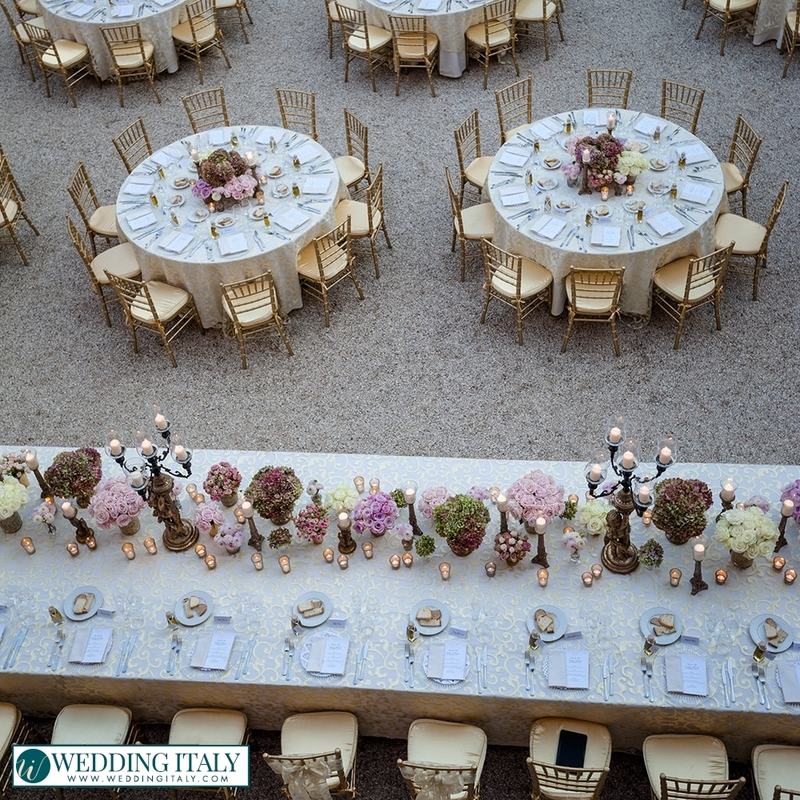 You'll experience unbelievable luxury, nearly unfathomable beauty, and service that are second to none. 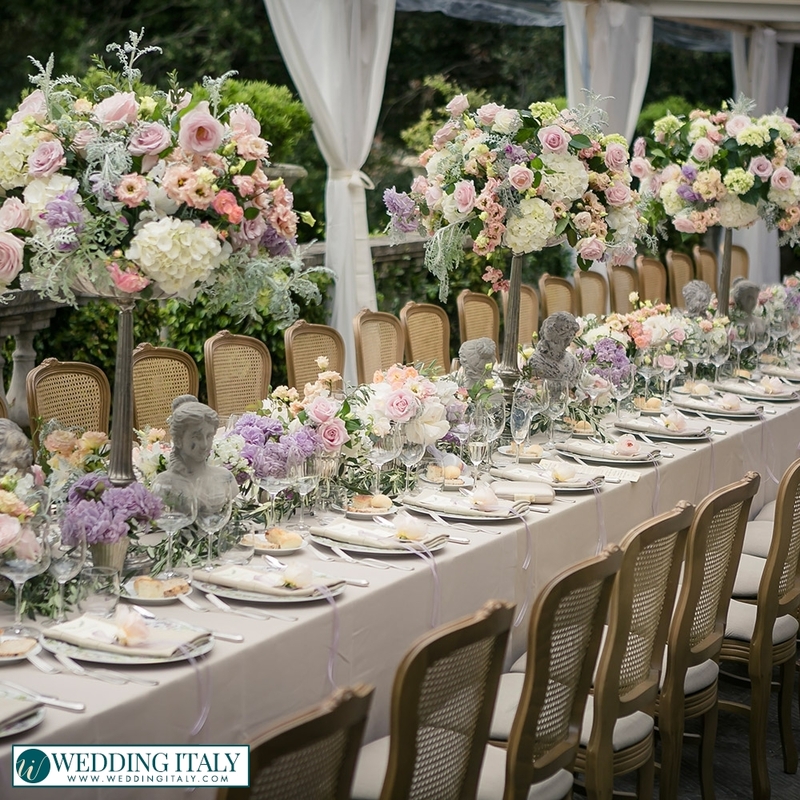 All this, with the constant help and support of a team of experienced and passionate wedding planners. 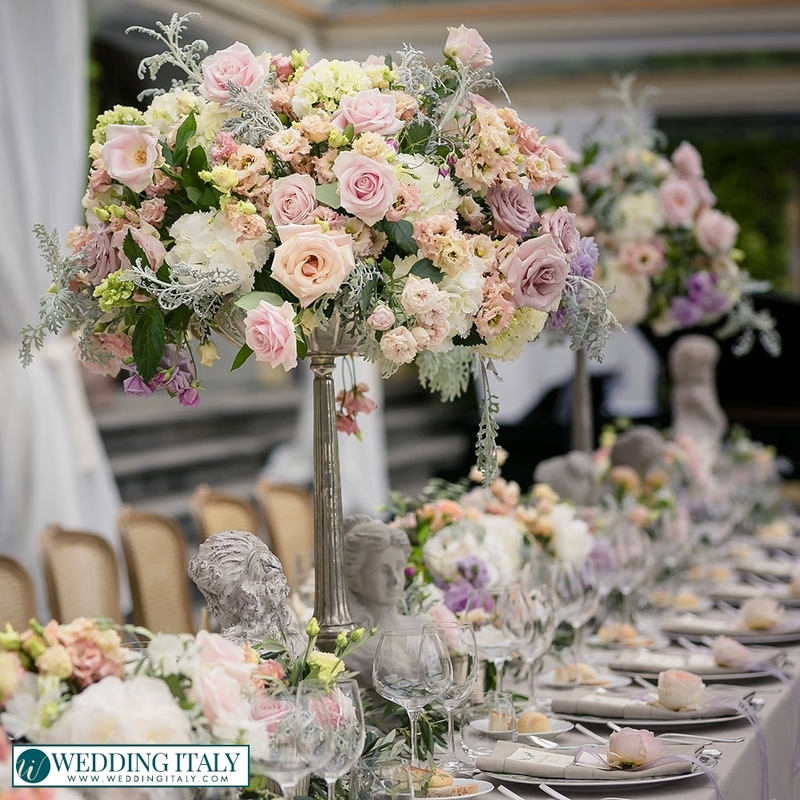 Do not hesitate to contact us for further information: create the perfect Italian wedding reception! 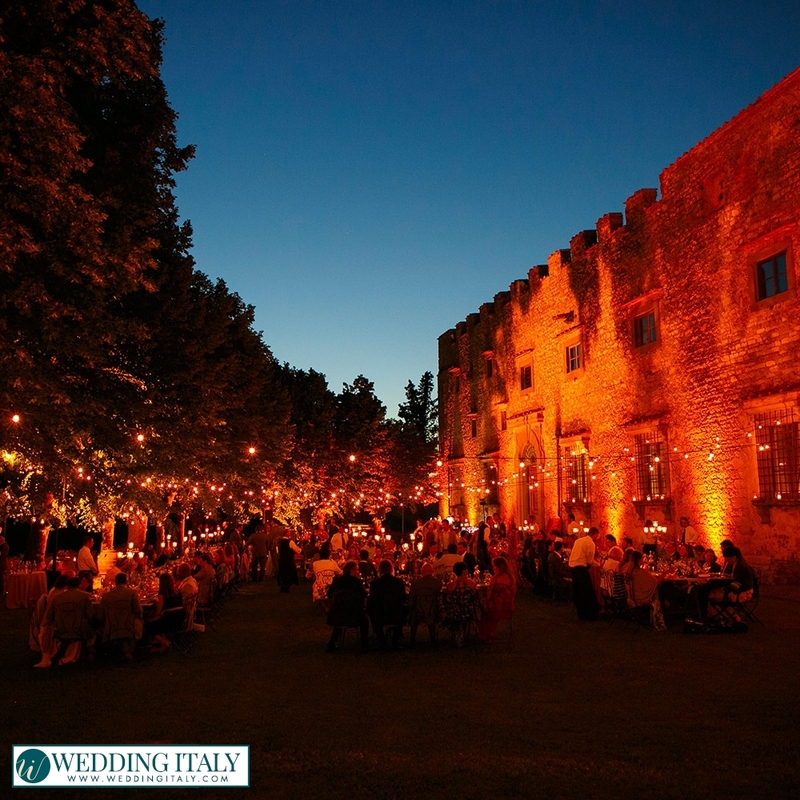 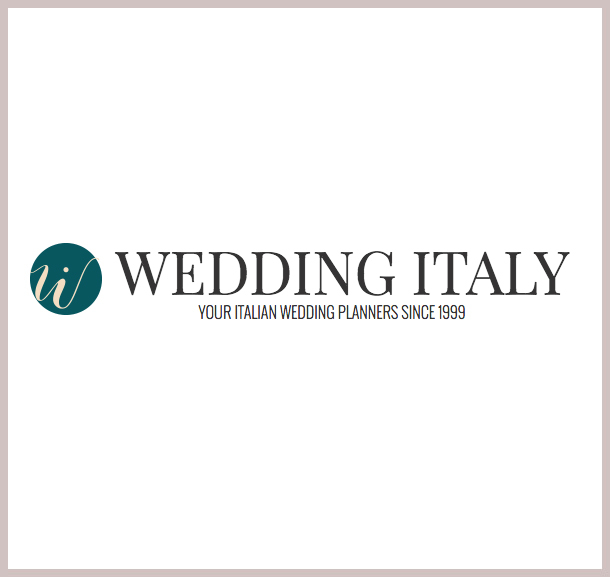 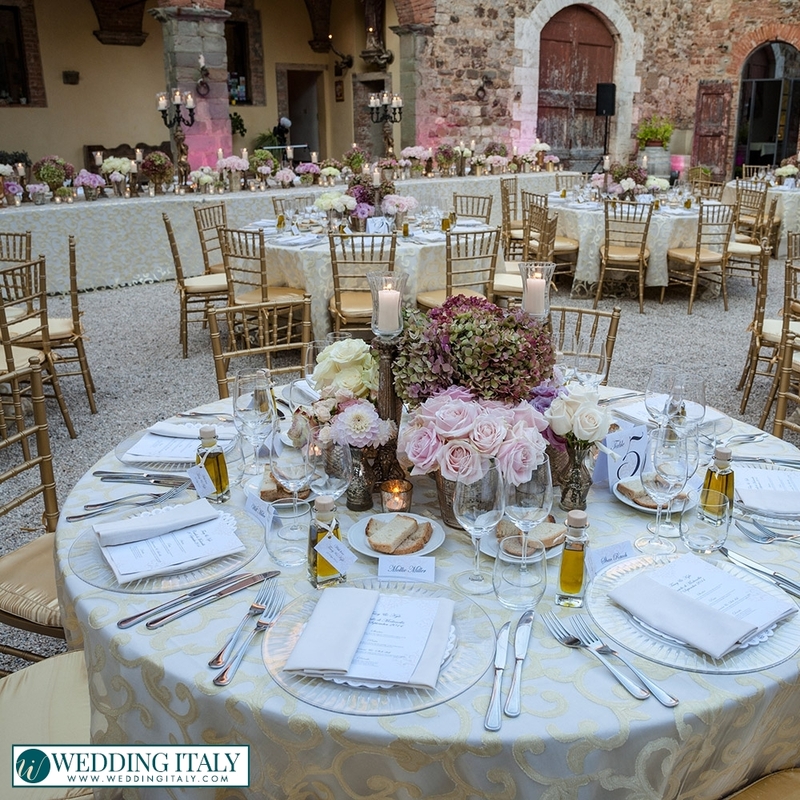 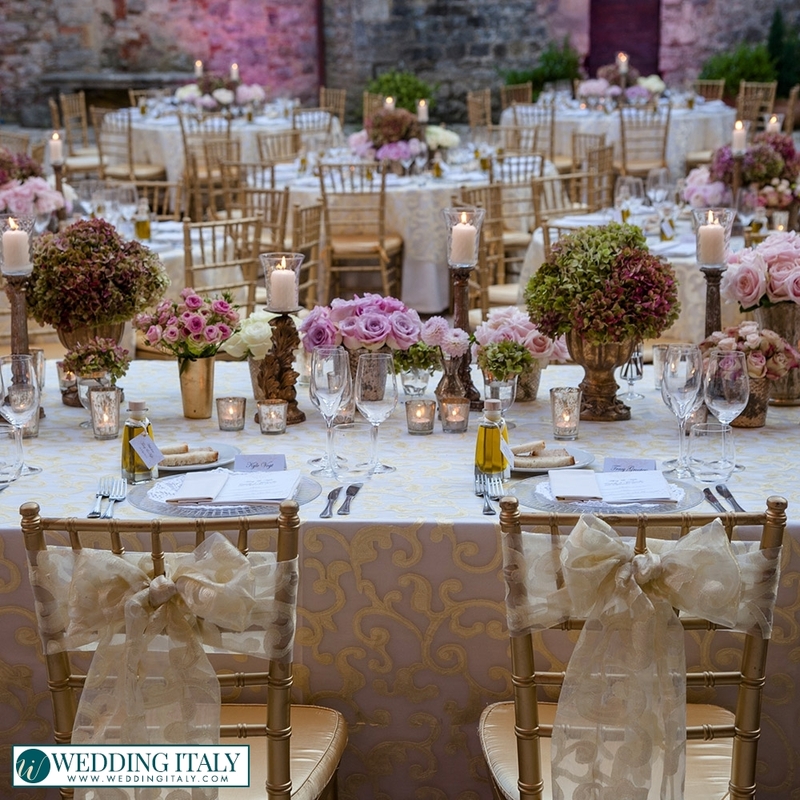 Trust us at Wedding Italy to make your wedding in Italy truly unforgettable.